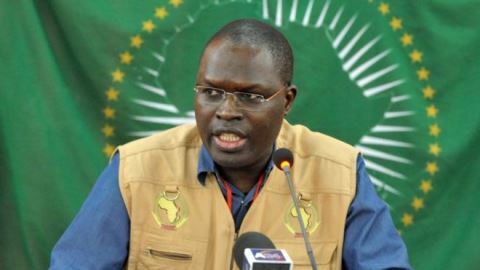 The mayor of Dakar, Khalifa Sall, has been expelled along with 64 other party activists from the Socialist Party (PS), which convened a meeting for that purpose on Saturday in Dakar. The PS is a member of the ruling coalition government led by President Macky Sall. Those expelled include several other mayors namely, Bamba Fall, Idrissa Diallo and Barthelemy Diaz, as well as lawyer Aissata Tall Sall, who had also participated the last legislative elections under the banner of her political movement called “Oser l’avenir” (Dare the Future). It would be recalled that Sall has been remanded in prison since March 2017 for alleged financial malpractices involving 1.8 billion CFA francs from the advance fund of Dakar City Hall. Sall and those expelled have been considered by the party as non-conformists and dissidents, after he called his supporters to vote “No” in the March 20, 2017 constitutional referendum. PS has accused them of being involved in acts of defiance meant to seriously undermine the party’s image, unity and fortunes. These actions also included the establishment of politically-motivated support movements, and the creation of a separate list during Senegal’s 2017 legislative elections, which were deemed violations of the rules of party discipline. Khalifa Sall has served PS governments in several duty stations under former President Abdou Diouf, and has been mayor of Dakar since 2009. He is the current secretary general of the AIMF (International Association of Francophone Mayors), as well as president of the United Cities and Local Governments of Africa (UCLGA).